New Downtown Church Partners with Park Hill Church for Worship and Community Outreach » Newday Adventist Church in Parker is just two weeks away from officially launching their second location in downtown Denver. The 40 church members, who make up the core team, have been learning about what ministry in an urban context looks like. Their primary teachers were other churches in the area for years serving their communities. One such church is the Park Hill Seventh-day Adventist Church, a primarily African-American congregation in the Park Hill community. On Sabbath, March 3, Newday Denver and Park Hill had a joint worship service at Park Hill’s location. They formed a blended choir and worship team, and members from both churches were represented in the service. They talked about issues of injustice, and what it means to love our neighbors. 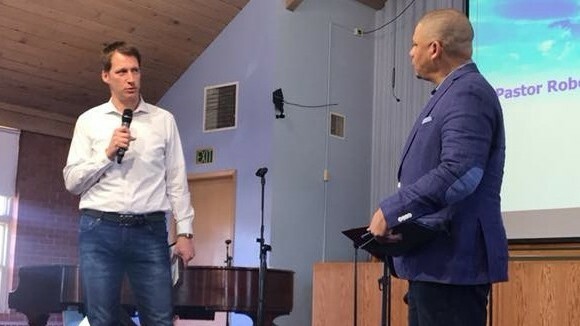 Pastors Robert Davis from Park Hill, and Dave Kennedy from Newday team, jointly taught a sermon based on Jesus’ story about the Good Samaritan. After a lively worship service, the two churches enjoyed a fellowship lunch together. A feature of the Sabbath was an after-lunch mission outreach with members from both churches going out into the Five Points neighborhood in small groups. They went door to door and prayed with people. Members of the Park Hill Church were partnered with members of Newday to train them on this form of urban ministry. Some 50 people took part in the outreach, with about 25 from Newday, and Park Hill each. After their time in the community, members gathered at Newday’s church to debrief their experience. Members from both churches shared exciting stories about the people they encountered, and the positive experiences they had reaching out to the community together. Newday Denver is located at 2222 Marion Street in Denver. They officially launch their Sabbath services on March 31 at 4:00 pm. For more information, go to www.newdaysda.com. Kaleo Project Responds to La Vida Mission Needs » Their journey to La Vida Mission, an RMC church and school in northwestern New Mexico, began March 4 with a temporary breakdown in Castle Rock, a blustery trip down I-25 and a blizzard as they drove over Cumbres Pass. Undaunted, the group of nine young volunteer missionaries with RMC’s Kaleo Project eagerly blessed the Indian population at the mission through a variety of service projects and sharing. 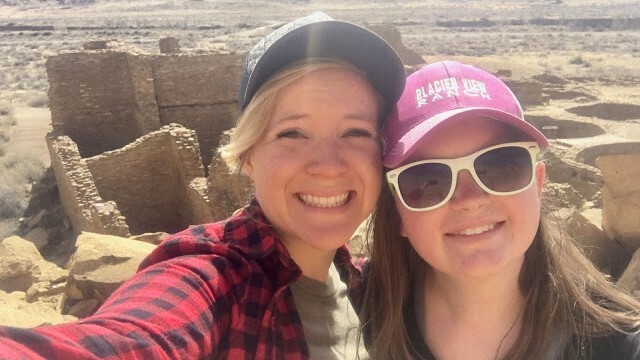 The original plan was to take the students to Mexico City where they would work at a school to rebuild the music building damaged in the two recent earthquakes, according to Kaleo Project director, Shannon Werner, but because of parent concerns about safety and lodging logistics in Mexico City, that trip was cancelled. Leaders came up with Plan B, but without the time to promote the new destination and with area academies doing their own mission trips (Campion Academy took youth to Belize during this time), the trip was much smaller than the 30 or so students they previously took to the Dominican Republic, Costa Rica, Hawaii and other destinations. Although they had requests from other parts of the world, the Kaleo Project leadership chose to bless La Vida Mission, a self-supporting missionary endeavor with an historic, supportive partnership with the Rocky Mountain Conference. 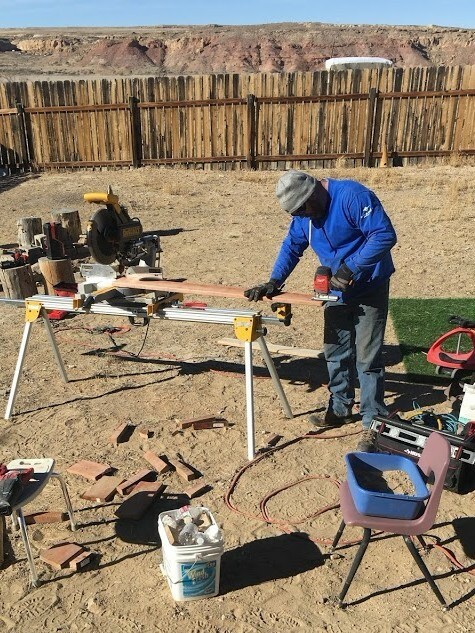 Since both the boy’s and girl's dormitory decks were sagging, they pitched in to rebuild them, using new materials they purchased for the mission and installing joists to replace the sagging ones in cold, 15-degree weather. Chuck Henry, an adult sponsor, spoke with La Vida’s project manager to ask him what tools he should bring for the projects they would be working on. “Pray over your tools and see what God would have you bring,” he was told. He brought them all. During the evening, students preached an evangelistic series attended by the students and staff of La Vida Mission, along with a few of the locals. Having preached just once before during the Hawaiian mission trip in 2017, Brook Henry, and others, gave presentations on creation, salvation, the gospel health, and the state of the dead. 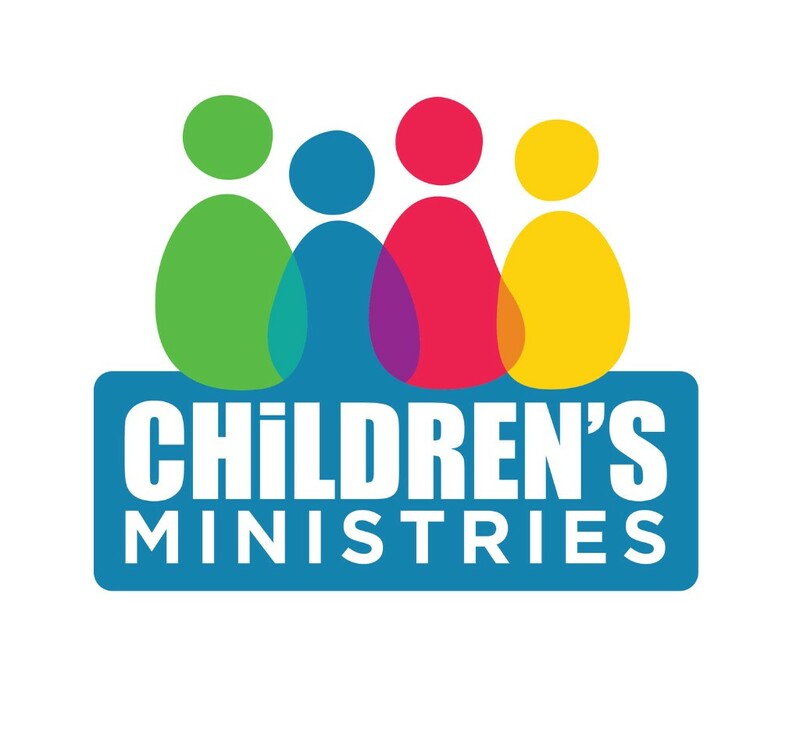 A children’s program was held at the same time as the evangelistic series. 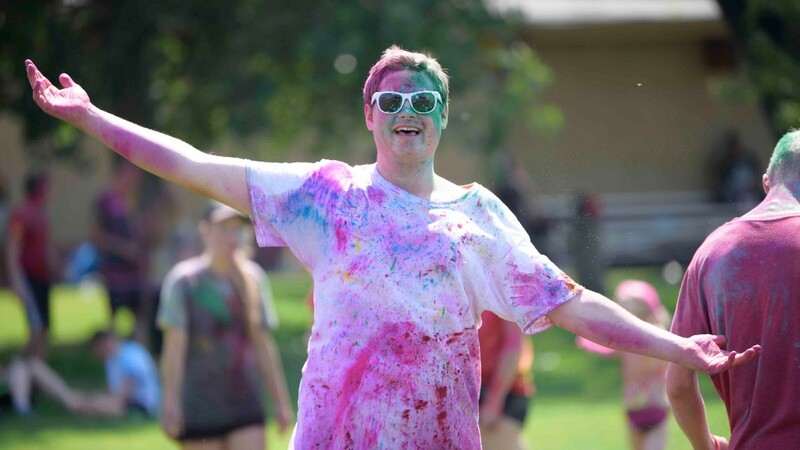 Kean Jagitsch, one of the youth on the mission trip was excited about the trip because he wants "to someday be involved in Native American ministry." Taking advantage of the location, the group visited Chaco Canyon, a former center of culture for the Ancient Pueblo Peoples, to see the ruins and petroglyphs left by the Chacoans. Scientists believe that many of their buildings may have been aligned to capture the solar and lunar cycles which required generations of astronomical observations and centuries of skillful building. On the last day of the mission trip, March 11, the group traveled to Pagosa Springs where they enjoyed the river and the hot springs, jumping into the cold water of the river when the hot springs became too hot and then returning to the springs to warm up. Castle Rock Young Adults Practice "Church Ownership" » Ministry to youth and young adults in their local context, and creating an environment for connecting with God and other peers was at the center of a one-day young adult rally hosted by the Castle Rock Seventh-day Adventist Church plant, March 10. Anil Kanda, director of senior youth and young adult ministries for Central California Conference, shared messages with more than 50 young adults entitled, “Conqueror: The Heart of God.” Kanda explored the lives of Jacob, Joshua, and David to pinpoint factors that lead to spiritual victory in our own lives. “That was amazing,” reflected a young father. “I never experienced this kind of togetherness with other young adults back home,” shared a new Colorado resident. That kind of impact happens not just when a conference empowers a church, but also when a church empowers its younger generation, Hamilton explains. 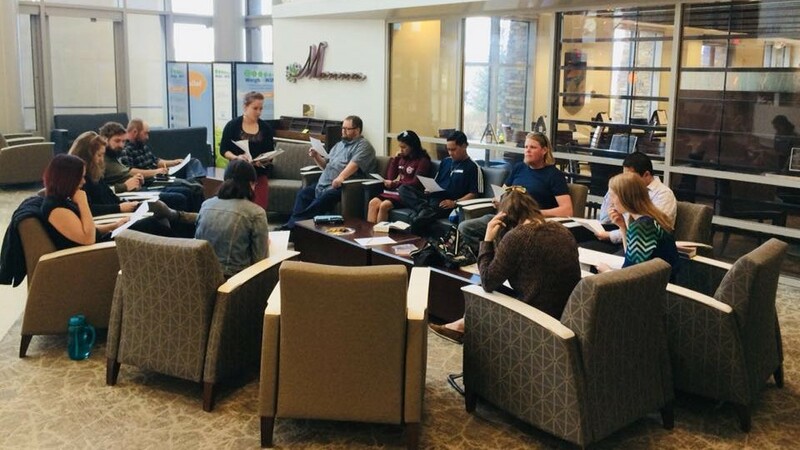 What our 20-and-30- somethings need most is a community of faith that leans on them “to make significant kingdom impact, entrusting them with meaningful responsibility, so it becomes church,” he says, referencing the impact of the Castle Rock rally. The Castle Rock Church launched in April 2017 with a handful of committed families and has become the church home for nearly twenty households. According to Miranda, the church exists to make passionate followers of Christ who SEEK God, SHARE life, and SERVE the world. Jonathan Leonardo Brings The Love Reality Tour to Rocky Mountain Conference » Geared toward our youth, yet cross-generational in nature, The Love Reality Tour is coming to the Greeley and Grand Junction churches in April. A native of the Dominican Republic, and currently serving out of Nashville and Honolulu, speaker Jonathan Leonardo believes you can revolutionize your walk with Jesus during this journey through the Gospel. “So many people today are looking for love,” says Kiefer Dooley, assistant youth director for Rocky Mountain Conference. “They feel an emptiness in their heart, but can’t find anything to fill the void. They have trouble identifying their value, purpose, and worth.” Leonardo’s powerful worship and transformational messages can change that. “The Love Principal is what really grabbed me,” said one man who attended the tour. “If you are interested in understanding the depth of who God is, we have to take a look at love itself,” asserts Leonardo. Youth, other church members, townspeople, anyone interested are invited to attend. Marketing is a grass-roots effort with church youth inviting their friends. The youth department will target the event and provide promotional material on Facebook and youth groups will pass out invitation cards door-to-door. The two-part series focuses first on the basics of our identity and who we are because of Jesus, followed by how our new understanding of our identity informs our beliefs. The messages will give a fresh way to look at the gospel, energize membership, and create more engaged youth. The tour could produce a revival in the church. 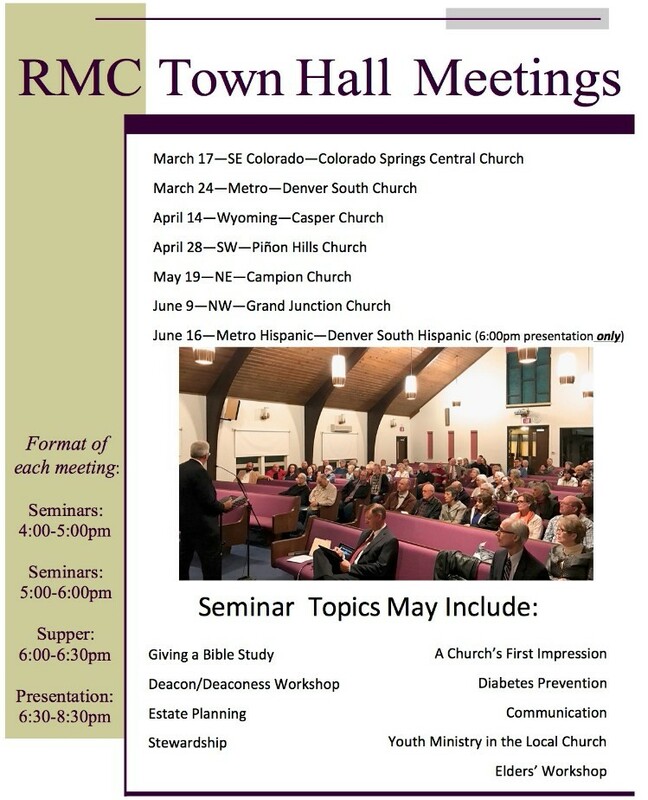 The Greeley Tour will take place April 6-14 at the Greeley Church, 1002 21st Avenue, Greeley, CO 80631. 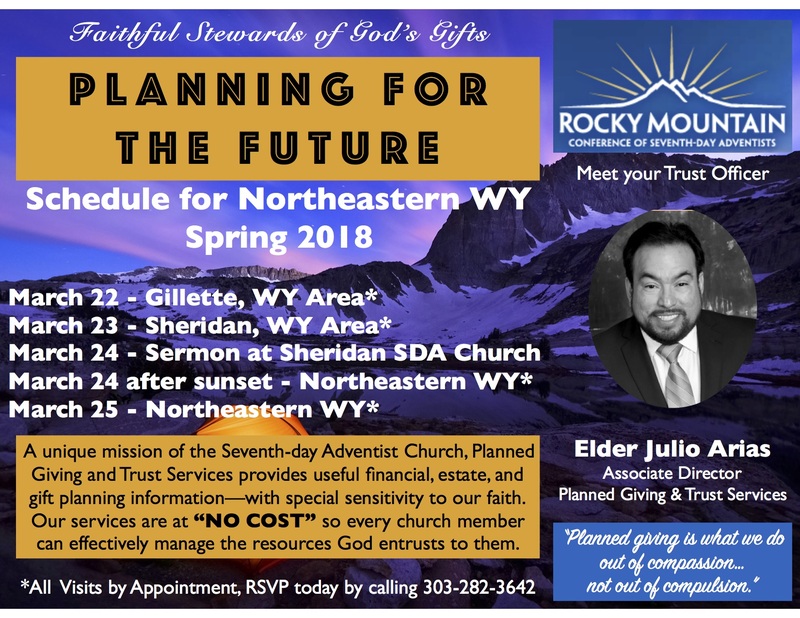 The Grand Junction Tour will take place April 18-21 at the Grand Junction Church, 550 25 ½ Road, Grand Junction, CO 81505. Vista Ridge Academy Hosts The Town of Erie Candidates Forum » Vista Ridge Academy hosted the Town of Erie Candidates Forum presented by the Erie Chamber of Commerce and moderated by the League of Women Voters on March 8. 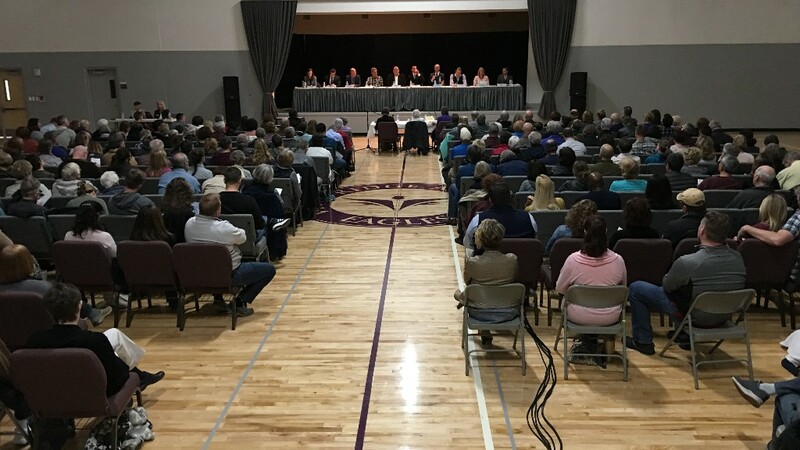 The Erie community was invited to meet and listen to the candidates for the upcoming Town of Erie mayoral and Board of Trustees election on April 3. Erie Chamber of Commerce Executive Director, Elle Cabbage, and Administrative Assistant, Cory Thompson, organized the event. “This was the largest one that we ever had and it was the best planned out [forum], and I attribute that to the student ambassadors of Vista Ridge Academy and all their staff. We could never have done this event without all their help, and we are appreciative to all of them,” said Cabbage. 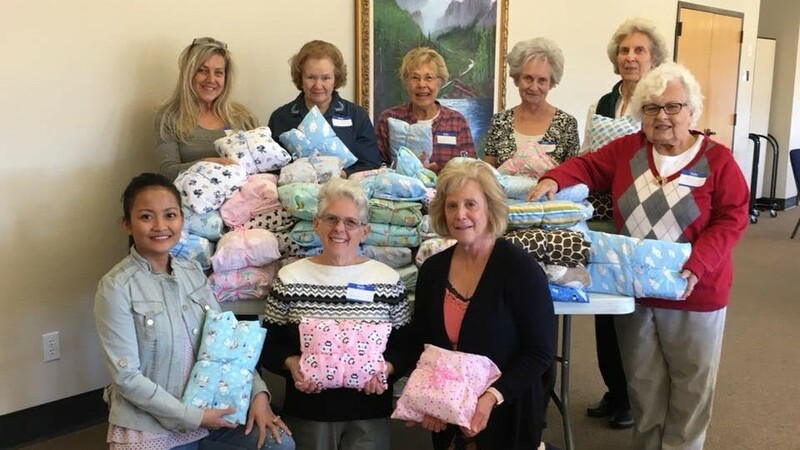 Franktown Women's Ministry Group Assembles Newborn Care Packages » Franktown Women's Ministry ladies assembled 104 newborn care packages March 4 and delivered them to Castle Rock and Parker Adventist hospitals later that week. Containing receiving blankets, diapers, onesies,sleepers, A&D ointment, baby body wash or shampoo, items needed by a newborn, the packages blessed 104 mothers and babies in need in Douglas County. Even before the bundles could be unloaded, one nurse already had someone in mind who needed these supplies. RMC Music Festival to be Held at Campion » Save the date! The Rocky Mountain Conference Music Festival is March 22-24. Students from across our conference will join together for music clinics on Thursday and Friday in preparation for a sacred and secular concert on March 24. The festival will highlight choral, orchestra, and handbell music under the direction of three local clinicians. Clinton Anderson, Assistant Music Teacher at HMS Richards Jr. School, will direct our Festival Choir. Miki Shockley, Director of Amadeo Music School in Loveland, returns to direct the Handbells, and Yves Clouzet, Music Director at Campion Academy and Festival Organizer, will direct the Strings Orchestra. 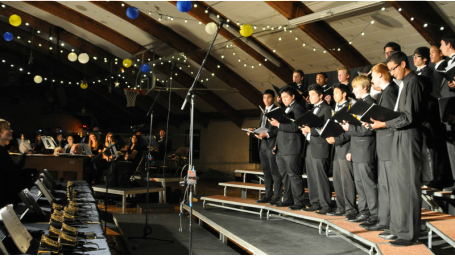 Sabbath morning church service and sacred concert takes place at 11:00 a.m. in the Campion Academy gym. The secular concert will begin immediately following vespers that evening at 7:00 p.m.
A special addition to this year’s festival is a Sabbath afternoon concert by violinist, Jaime Jorge. Jaime travels the world sharing the ministry of music and will perform at 2:30 p.m. in the Campion Church. The Rocky Mountain Conference Music Festival is a highlight for many of our students across the conference. We look forward to seeing you at one or all of our concerts on March 24. In Memoriam » A former RMC pastor, Gideon A. Haas, 99, passed away March 11. 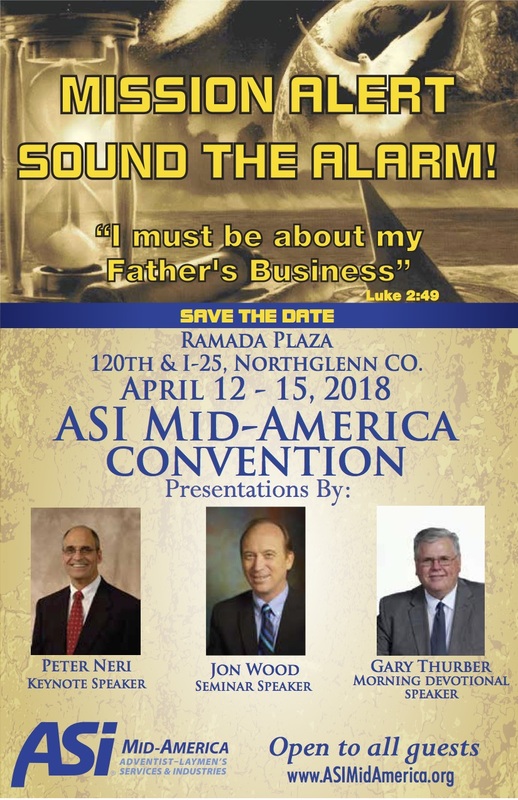 A minister to numerous churches in the United States and overseas, in 1974 his last pastorate was in Longmont where he retired in 1980. Both the visitation and funeral service will be at the Longmont Seventh-day Adventist Church, 1712 Mountain View Avenue on Saturday, March 17. Visitation will be from 2 p.m. to 3 p.m. with the Funeral Service starting at 3 p.m.
Interment will be at 10 a.m. Monday, March 19, at Foothills Gardens of Memory Cemetery. Contributions can be made to Union College and sent in care of Ahlberg Funeral Chapel. Scott and his wife Heather have been involved in Christian music ministry since 2008. He has made appearances on 3ABN and the Hope Channel. You can also hear his beautiful music on Youtube. This is an evening you won't want to miss. A free will offering will be taken. "The Bible does not condemn genius or art; for these come of the wisdom which God gives. We cannot make the heart purer or holier by clothing the body in sackcloth, or depriving the home of all that ministers to comfort, taste, or convenience." "Creativity isn't just the things we choose to put in, it's the things we choose to leave out."